lets graph:: take it easy ! It's certainly a comfort thing, I think, trying to control everything. But I've found recently that it's not always easier and more comforting- sometimes it's just easier to go with the flow and accept that we are merely people and we are doing everything just by living. 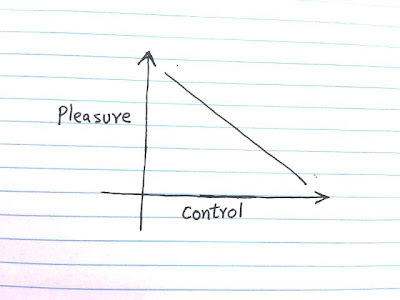 Love this blog, love the graphs, especially this one! Definitely better to go with the flow. Love your graph! how much control is too much ?